Not sure how this little 2014 slipped out of the radar as I use it every day!!! Last Christmas (2013) my kids, knowing I wanted to make something patchwork as my New Years Resolution, bought me the Cath Kidston book Patch which had a free kit attached to make this bag (or it could’ve been made into a cushion cover). It was so easy to make and apart from the seams on the bag was all sewn by hand. I love it and I’m hoping to make more of the projects from the book. Work on the patchwork quilt continues, although didn’t get a lot done as it was my dads birthday today – he loved the homemade card and IOU voucher by the way. Anyway I think the quilt is going to be a long process but I’m hoping the finished piece will reflect the time and effort put in. Here’s a few completed and half completed squares. This new year I set myself a goal of making a patchwork quilt. Once again I scoured through my stash of magazines (did I mention I have a magazine addiction!!!) and I came across a, what seems a fairly easy, design called Disappearing Four Patch. So today I made a started – I’m pleased to say my 64 squares are now cut and ready to sew. Obviously the colours are not exactly the same but in true patchwork style I’ve used material I had in my stash. Apart from the cream for which I bought a double sheet for the bargain price of £4.99 – I’m sure I wouldn’t have been able to buy off the roll for that price! Browsing around in the supermarket I spotted the Simply Knitting magazine. Now I’ve bought quite a few of the Simply Crochet issues, really enjoy them and I think I’ve made something from each issue I’ve bought. 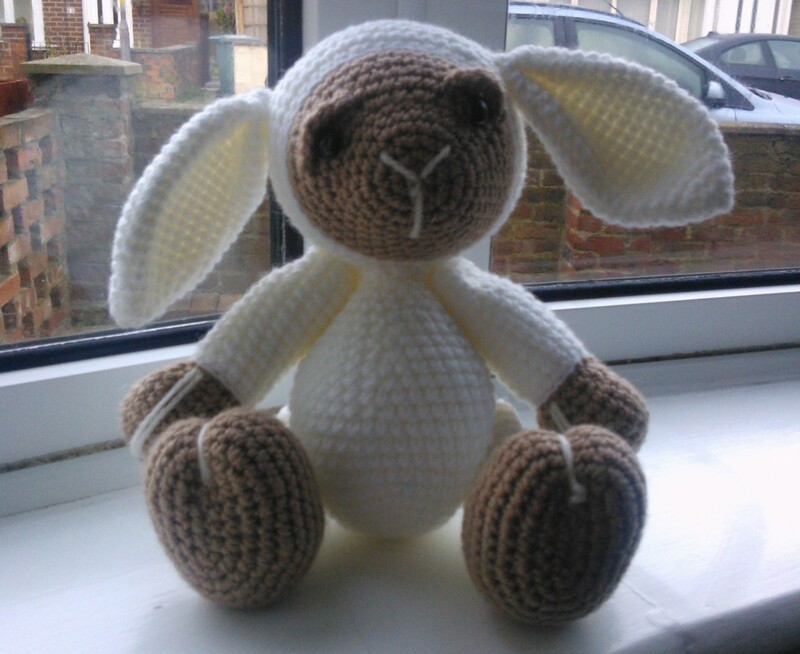 So I thought I’d give the knitting one a bash, after all there was some free 10mm needles on the front. The problem with having a gift on the front is you can’t browse the mag to see what’s inside – and the fact is there was bott all inside, well nothing I’d wanna make anyway!!! So that was a waste of £4.99!!! Suppose I got the free needles – technically they cost me £4.99 and the mag was free cause I doubt if I’ll use it. Happy New Year – Happy New Blog!! This time last year I made a few New Year’s Resolutions – well not exactly resolutions more like goals I wanted to achieve. 1. 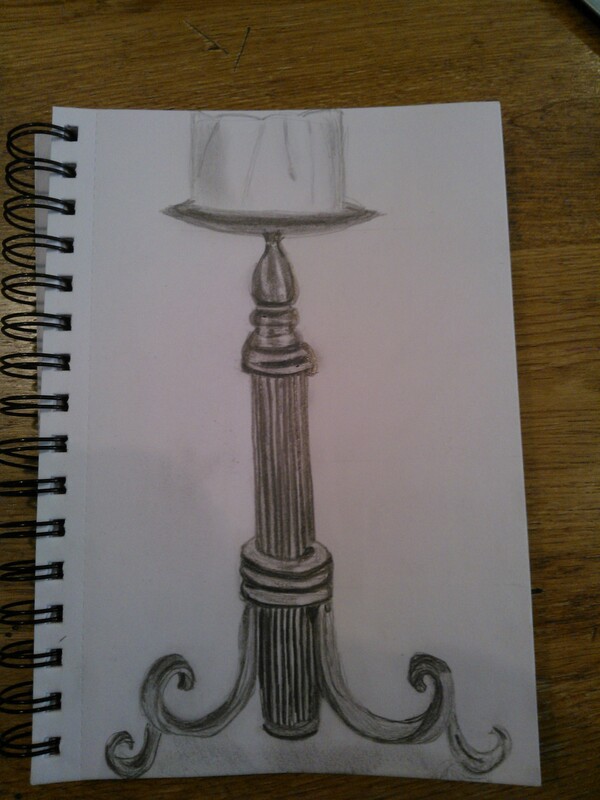 To learn to draw (or create something that didn’t look like a 4 year old had done it!!). After working my way through my son’s Learn to Draw Book I’ve progressed from drawing a toilet roll tube to this – Job Done I think. 2. To create something patchwork – unfortunately no picture for this one but I created a fairly respectable cushion cover. 3. To make a crocheted object. When I was younger my mum taught me how to do the basic crochet stitches – no easy feat considering she’s right handed and I’m a leftie. I saw this cute little fellow on the front of a magazine and had to give it a go. 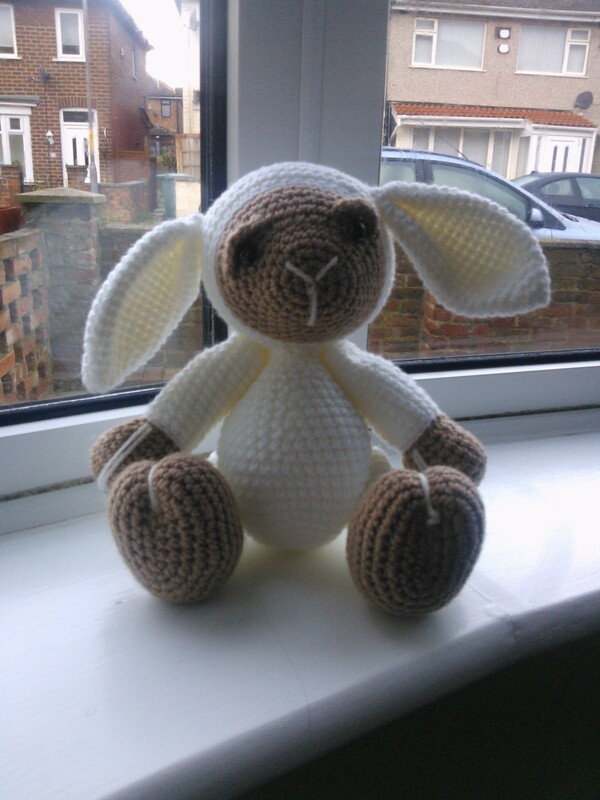 With a lot of help from YouTube I managed to extend my crochet skills and create the gorgeous Lambikins. This year I would like to create something a little bigger in patchwork and I fancy giving card making a go. Really I just want to expand my crafting skills and give a few things a go. Creating a blog was also on my list of things to do in 2015, so here it is. Any other lefties out there who have any hints and tips to make my craft journey any easier feel free to share.